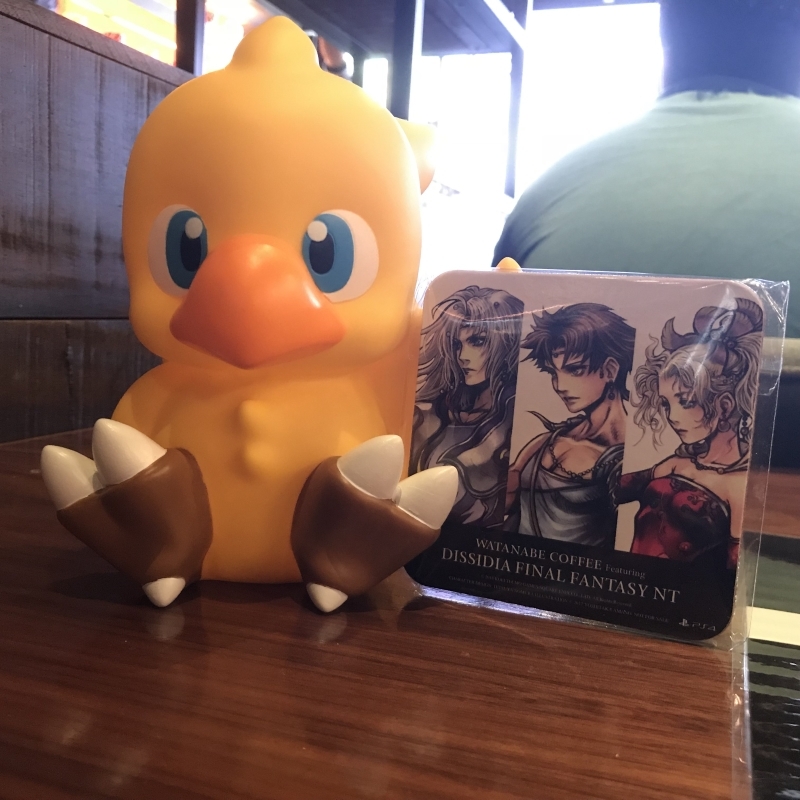 In case you missed it, this month’s capped off with a major Final Fantasy release. But surprise: it’s not your standard Japanese role-playing game this time around. It’s a competitive fighting game! 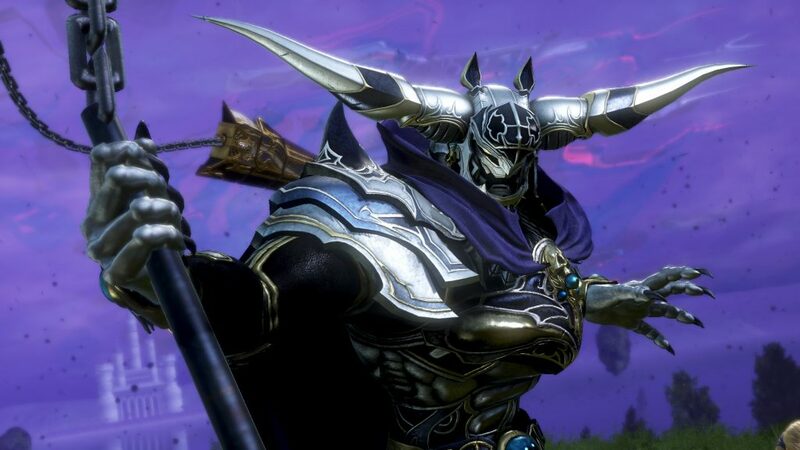 Yes, the fighting game Final Fantasy spin-off is making its PlayStation 4 debut today with the title Dissidia Final Fantasy NT. What is it about? How do you play it? Who is in it? How do I play this well? We can answer some of these questions with this quick-and-easy guide into this new competitive landscape. 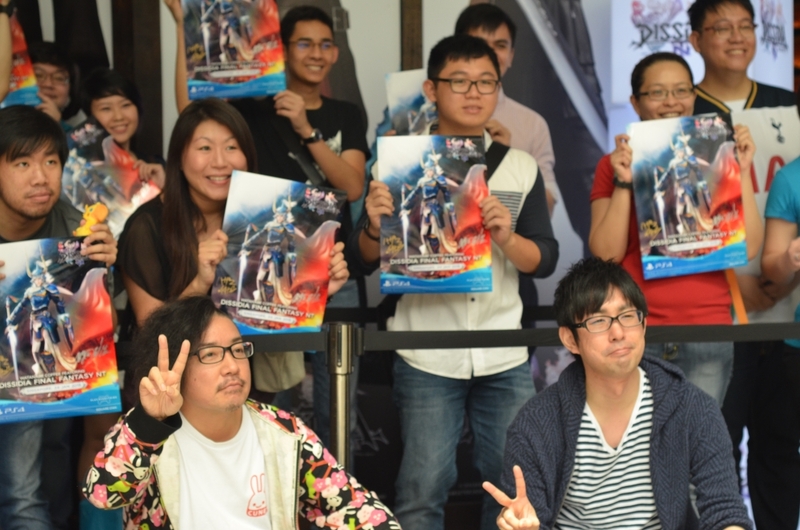 Plus, we also had a chat with the game’s producer Ichiro Hazama and director Takeo Kujiraoka about the project. Without further ado, these are the 10 things you must know before plonking down money to play this competitive Final Fantasy title. #1. It’s a Final Fantasy 3 versus 3 fighting game. Unlike your standard one versus one fighting game on a 3D battlefield or your 3v3 game where two fighters duke it out simultaneously, you have to team up with two other fighters and proceed to beat the crap out of the opposition team, with all six present on the battlefield. Each team shares three lives; the first team to score three kills wins the match. The producer and director assured us that the scoring mechanic here makes sense; players who are KO’ed will respawn after a few seconds. To defeat an enemy, you have to raise up your Brave Attack value with your Brave attacks while lowering theirs (using the X button), then attack them with HP attacks with the Square button. The higher your Brave value, the more damage you can deal with your HP attacks. Of course, HP attacks are slower than Brave attacks, so you need to time your attacks well. To defend yourself, you can either block attacks by holding the L1 trigger or dodge them by pressing L1 and a direction. Keep in mind that you cannot block HP attacks. Sounds simple enough, right? Now factor in two other players out to hunt you down from the opposing team, and Summoning Cores on the field that can help turn the tide of battle via powerful elemental-themed eidolons. The game then gets more hectic and frenetic as a result; battles get intense with heroes like Frionel pulling off their sword-and-bow-and-arrow combos while one of his teammates flank would-be deserters. But why a 3v3 game instead of the 1v1 mode in the past Dissidia titles on the PSP? Because Kujiraoka-san mentioned that the team wanted to incorporate the classic JRPG style of past Final Fantasy titles where it was party-based. #2. It’s got a sizeable roster filled with pretty boys and edgelords. If you’re a fan of character designer Tetsuya Nomura’s artwork, you’ll love this game. Every character from the popular FFVII mainstays Cloud and Sephiroth to even the obscure Final Fantasy Tactics hero Ramza Beoulve are in the roster, and they’re styled after the esteemed Nomura’s style. Each of them have their own roles to play: Vanguard, Assassin, Marksman, Specialist. The respective roles roughly translate to “tank”, “fast DPS”, “ranged DPS”, and “flexible role”. You’ll need a mix of these in any 3-person team: having the same classes is basically signing your own KO warrant. 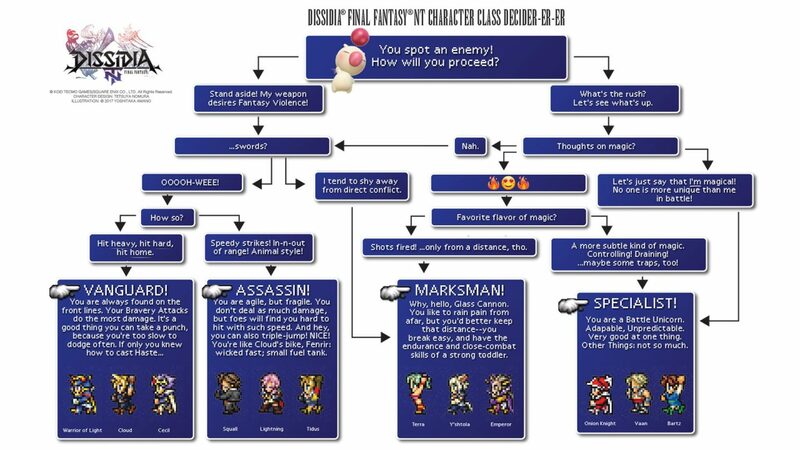 If you’re not sure who to use, let this handy guide from Square Enix help you out. #3. It plays like a group-based shooter, only with third-person action and magic. 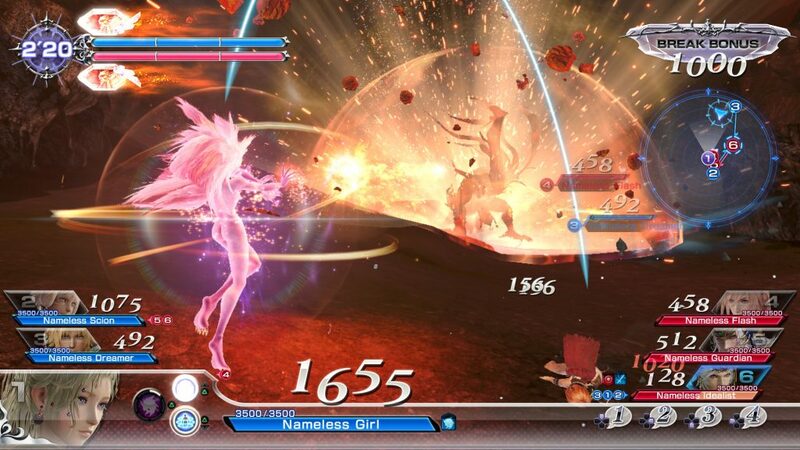 Apart from the past party-based FF games, Dissidia NT also took inspiration from team-based fares like Dota 2, League of Legends, and Overwatch. Some characters are better up-close, while others excel at staying far away while pelting their foes with either spells, gunfire, or debuff effects. We brought this up because like these games, teamwork is really important. You’re not going to go far if you can’t master basic communication in-game and figure out if you should team up in threes or split up. #4: The NT stands for New Tale. Dissidia is the stylized spelling of the latin word disidia which means “to destroy” or “to lay ruin”. But what about the “NT” in the title? According to producer Hazama-san, it stands for “New Tale”. Though at the beginning of the game project, he thought it stood for “Nomura Tetsuya”, the main character designer for the recent Final Fantasy titles and the main reason why Square Enix characters have a lot of zippers and belt buckles. #5: This game’s made only for PS4. Rejoice, Sony fans, for Square Enix is giving exclusive love. To be fair, Square Enix and PlayStation will have an easier time maintaining Dissidia servers for online play since it’s now catered to one console. 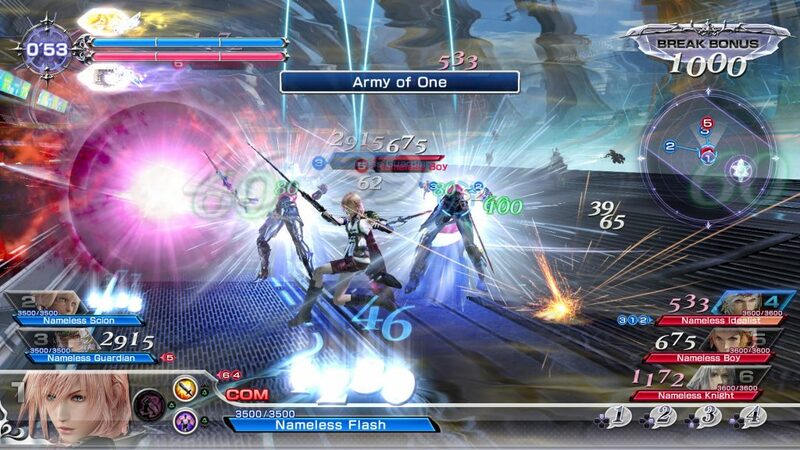 Plus, the past Dissidia titles were PSP-exclusive, so there’s that. Bonus: if you want to see the game in motion, look at this video below. At least, according to the online forums and Reddit threads. This is probably due to the fact that new folks who start out on the game gravitate towards the easier class to use, the Vanguard. Some Specialists can alternate between Vanguard duty and buffing/debuffing tasks, but generally they can complement the point Vanguard in the team. #7: The most-used characters are Golbez, Terra, Ultimecia and Ace. This is strictly for gameplay: the three mentioned above excel in their respective roles and require quite an intimate knowledge of how the game works as a whole. Golbez and his Shadow Dragon gimmick make for a formidable Marksman combo.Terra and Ultimecia are good Marksman characters provided that you understand their respective shards and projectile warfare works. And Ace himself is pretty easy to get even if you don’t fully understand his card-based fighting mechanic. Plus he’s faster than most of the cast. Don’t be fooled by his armour; he’s actually one of the easiest characters to use. #8: You need to know who the easiest and basic characters to start off with. If you’re completely new to how Dissidia works, it’s best that you pick the beginner-level characters to get the hang of the game’s mechanics. They are Garland, Warrior of Light, Cloud, Kain, Zidane, Ace, and Vaan. Garland, Warrior of Light, and Cloud are simple-to-control Vanguards who hit hard, have decent to high hit points, and have basic-yet-effective strategies. Kain and Zidane are the easier Assassins to use since they have a lot of mobile options on the field and they excel in one-on-one melee duels. As mentioned on #7, Ace is arguably the easiest & fastest Marksman who has it all: damage, heal, buff, and crowd control. Vaan is a unique case: he has the most HP attacks in the game, so he can round up a team with a solid Vanguard and Marksman who can build up Brave attack values by themselves. Teamwork! #9: There will be 6 new characters coming out post-launch. And they might be SG$10. This tidbit is important, as fighting games live and die by their roster. While the current list is decent, there’s no harm in having more additions from other Final Fantasy games. They’ll be 800 yen apiece according to Kujiraoka-san and Hazama-san, complete with 2 colour variants for their default outfit and 2 weapons. That should be about SG$10 or more on the PSN Store. We’ll most likely see some past Dissidia fighters popping into this version of the game soon enough like Gilgamesh, Tifa Lockheart, and Judge Gabranth. 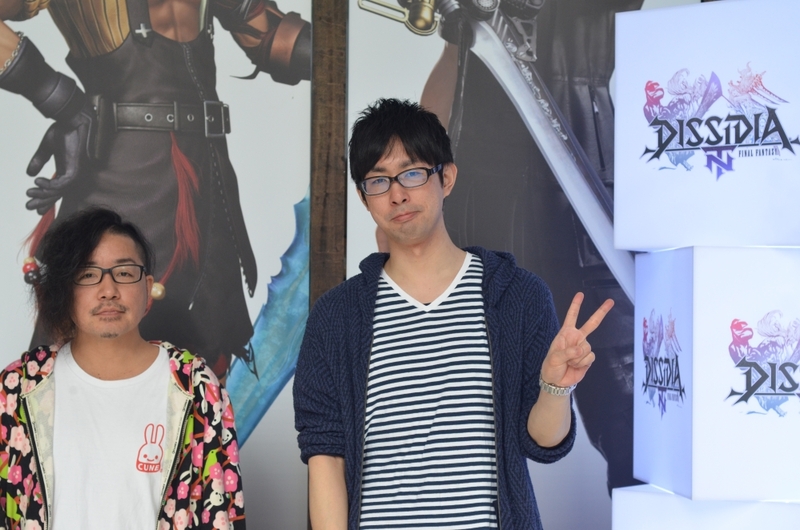 However, Kujiraoka-san gave us some hints: the next character is due for the end of Spring, will be a villain, and has not appeared in a Dissidia game at all. Hazama-san added that the process of character DLC isn’t completely random and arbitrary. One main factor that influences their selection process is their popularity. The team is contemplating on adding in more villains from the later series like FFXIV and FFXV. #10: The team wants to make the roster hit 50. And also balanced gender-wise. At the end of the day, Kujiraoka-san and Hazama-san wish to hit the maximum cap of 50 playable characters in the roster. They’re already at 28 so far, so they’re halfway there at the very least. While they’re on it, they will attempt to address the male-to-female ratio, skewing more towards the latter since the current roster is predominantly male. Dissidia Final Fantasy NT will be out this week in Southeast Asia on January 30. In the meantime, check out the pictures we took from the media event last week.